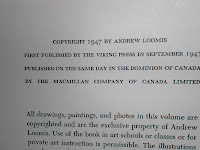 I swung by the York Emporium today and found this gem by the teacher of teachers, Andrew Loomis! Man, I'm going to eat this thing up over the next few weeks. 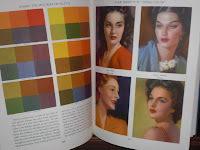 Loomis is one of those guys that truly forgot more about drawing and painting then most of us knew to begin with. Here's a few pics from the book. Damn, that's a find...true find. 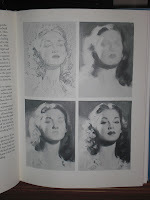 I think Loomis is right there with Hogarth in terms of breaking down under appreciated skills when approaching art. I am not close to being able to visually accomplish what you and many, many artists can do with a pencil, inks, brush, etc. But those books can teach you so much. His Drawing the Head and Hands book I borrowed from my friend one time to look at was amazing. 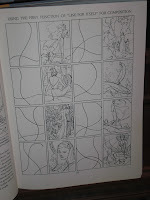 Too bad you couldn't have found the golden archive of Toth By Design. I so...so....so would love to have that baby. I shall just enjoy my latest purchase of the Essential Calvin and Hobbes Collection. They always have great stuff at this store. 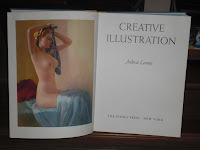 I also found a book collecting Wyeth's paintings and drawings of Helga! NO WAY!!!! Oh man, that is definite treasure there my friend. Wow, I've never seen that book anywhere. I have some digital images of parts of that book and others of Loomis, but I'd love to have a physical copy. Very cool. And Wyeth on the same day? Sheesh, illustration gold brother. What a combo! I gotta get over there if I can.